What has been your path to publishing? Agented before? Published before? How do you workshop your work? Critique group? What is your day job? And what does your writing schedule look like? What are some of your career goals and expectations? How many other agents are looking at the manuscript? Do my editorial notes match your vision for the book? This is a sample of some of the questions I like to know answers to when I’m getting to know a potential author. Some of the most important things are that we share the same vision for this book and your career, and that we have similar taste in books we read for fun. I like to know that writers have a strong work ethic and a writing group they work with so I’m not the sole provider of feedback. I want to know about your publishing history even if it’s not clean and tidy–often it isn’t. I like to know your patterns like how fast you write and when you write, plus the best time to get in contact with you. Is it about the answers? You don’t need “perfect” answers to these questions. It’s nothing you can study for. At the end of the day we want to work with writers who we get along with, whose work we love and feel passionate about, who have a career path that we feel we can assist in, and who trust us. That call is about both of us deciding we’re a fit. Just because you get an offer doesn’t mean you have to take it. Q: What have you been asked on “the call” or hope to be asked? FOREVER, INTERRUPTED is available for pre-order! 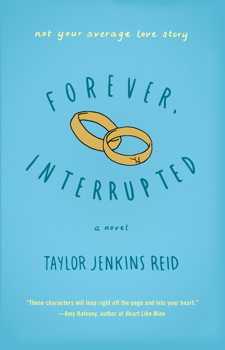 FOREVER, INTERRUPTED by Taylor Jenkins Reid is available for pre-order! This heartrending debut novel weaves a beautiful love story with an homage to the redemptive power of female friendship. Elsie and Ben are average twenty-somethings, but this is not your average love story. It begins bright and promising: the newlywed couple is head over heels in love, having eloped six months after they met. But it all shatters in an instant; Ben out riding his bike, is hit by a truck—and dies on impact. Elsie hears the sirens outside her apartment, but by the time she gets downstairs, his body has already been taken to the hospital. When she arrives, Elsie is greeted by an unexpected visitor—her mother-in-law, Susan, whom she has never met and who doesn’t even know she exists. Continue reading FOREVER, INTERRUPTED is available for pre-order! Dutch rights have been sold for Taylor Jenkins Reid’s debut FOREVER, INTERRUPTED (Atria/Simon & Schuster) to Uitgeverij Artemis in Holland. FOREVER, INTERRUPTED is coming out next summer. 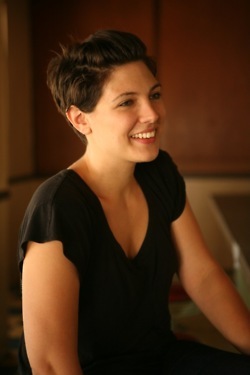 I’m delighted to share a new author that I have recently begun to represent: Caitlin Rantala. 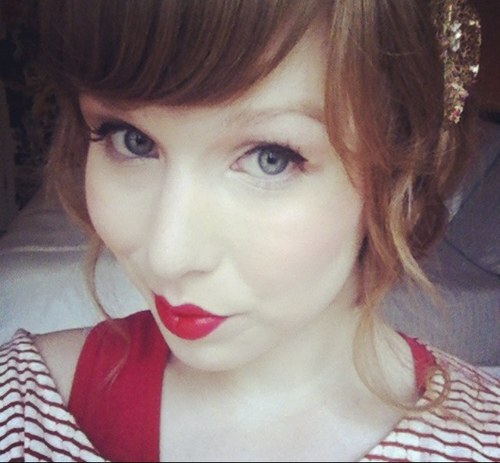 She wrote a imaginative YA Fantasy, SIREN, that caught my eye. Here’s a bit about the book! I call it THE VOICE meets SNOW WHITE. Eastland is inhabited by sirens – people with mesmerizing voices worn proudly around their necks in small colorful glass vials. Once a Kingdom full of magic, Eastland is slowly losing itself. The only thing spectacular anyone has left is their song. The better one’s voice, the better one’s social standing in the Kingdom. In fact, even the Queen of Eastland is chosen on her vocals during a ceremony called The Choosing.